Just when the cherry blossoms were in bloom a week ago, we jumped on the opportunity to capture some at Centennial Park. With no one around to obstruct our views, we had a such a fun time together. 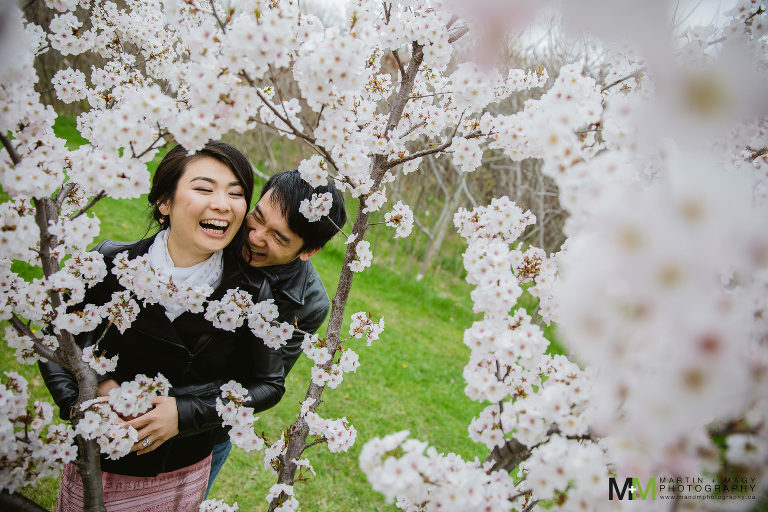 I loved Wakana + Daniel’s energy, natural smiles and excitement to try something new. I’m thrilled with how things came out and here are some of my favourites. Can’t wait for their big day next month.